Greeting of the day...! 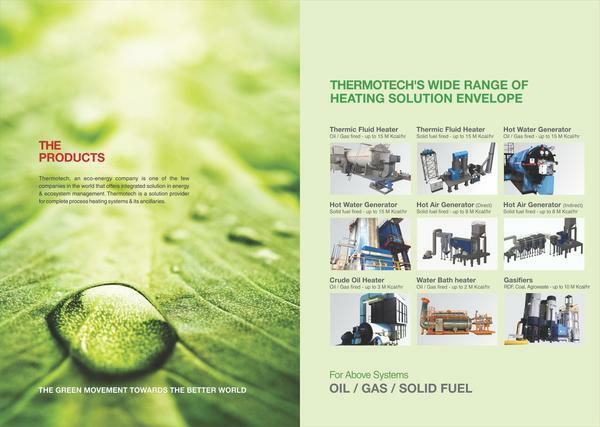 We Thermotech Systems Limited manufacturer of Heating system since 3 decades with installation more then 3000 in India and abroad. We are pioneer in manufacturing thermic fluid heater (Solid/gas/oil) fired, hot water generator, water bath heater, crude oil heaters from capacity of 1 lac kcal/hr to 16 M cal/hr. Some info about out Heater. 1. THERMIC FLUID HEATERS – SOLID FUEL FIRED COMBUSTION TECNHOLOGY Complete combustion of solid fuel is achieved by methodical mixing of fuel & air. Thus a self-sustainable combustion temperature is ensured by adequate oxygen ingress to every particle of fuel. Every solid fuel has different physical and chemical properties, which influences the design and performance of the furnace in thermic fluid heater. 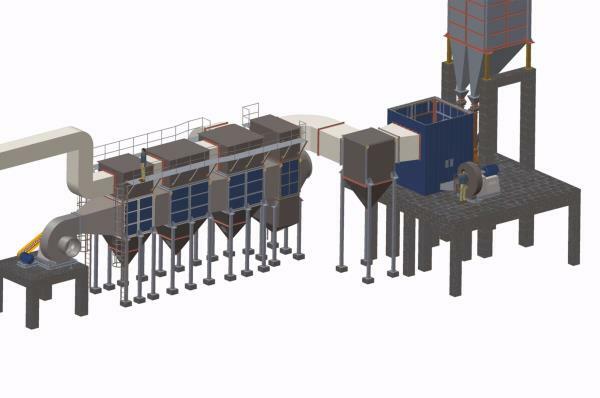 Low-grade fuels are best handling using FBC technology to give good results. 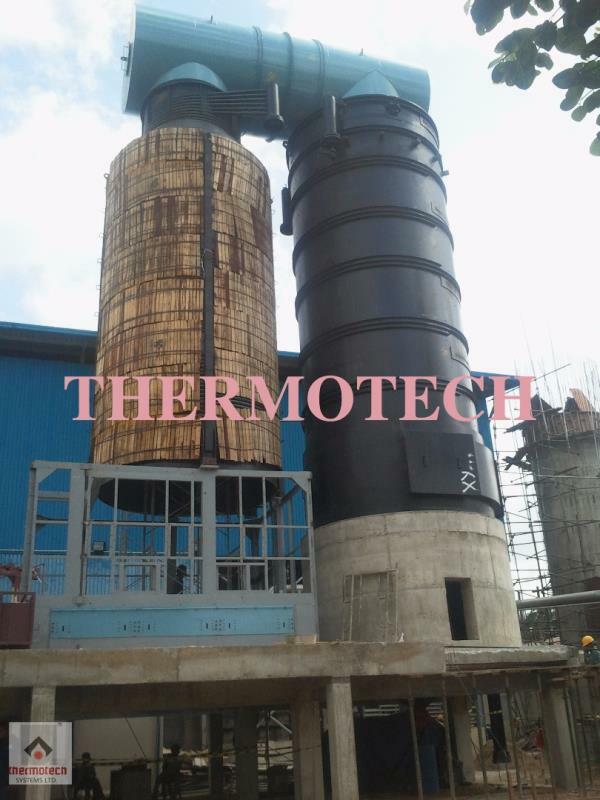 Thermotech’s unique design for efficient combustion suits different solid duels like coal, lignite, wood, husk, pet coke, bagasse and biomass fuels resulting in to low operating cost, trouble free operation and lesser maintenance. 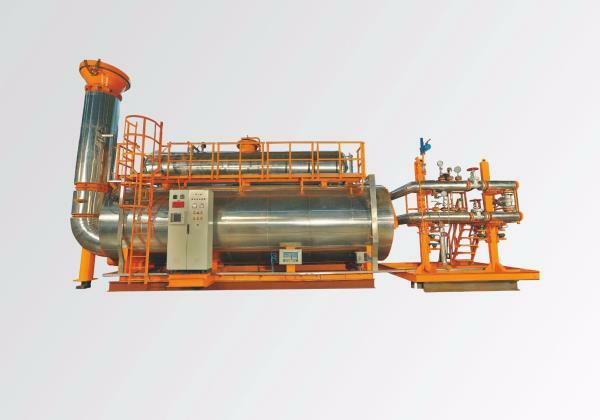 THERMIC FLUID HEATER – VERTICAL The vertical four pass thermic fluid heater is suited for various industries across India and abroad and undependable energy environment. Thermotech’s generous design of vertical heaters coupled with integral furnace and best suited combustion grate gives you an assurance of the rated output on any solid fuel like coal, wood, lignite, husk, briquettes, pet coke, saw dust, bagasse, etc. without compromising on performance & efficiency. This reduces downtime leading to further increase in profitability. Capacity: 0.1 Million kcal/hr to 16 Million kcal/hr 100 W to 19 MW Some known clients Adani Group, BASF, Shell, Oil Serv, G.P.S, DNO Middle East, Fortune Engineering, Ansell Lanka, VVF Ltd, Reliance Industries, roha dyes, yash papers, KS Oil, Thrumailai Chemicals Ltd. Petrofac, Cairn India, Multitex Filteration India etc. and many more continuing. for more info call us/ mail us/ visit us. 079 25840233/ +91 98790 04440 inquiry@thermotechsystems.com www.thermotechsystems.com/in Also download our mobile application for more information via playstore/App store "Thermotech - Thermic Heater"
Thermotech Systems Ltd. is an internationally renowned eco-energy company hailing from India. With a firm and futuristic beginning in 1988 and a never-ending chase for engineering excellence, the company has established its rock solid foothold in fabricating cutting edge industrial heating equipment and systems for wide scope of industries. Driven by high level of quality consciousness and quest for innovation. 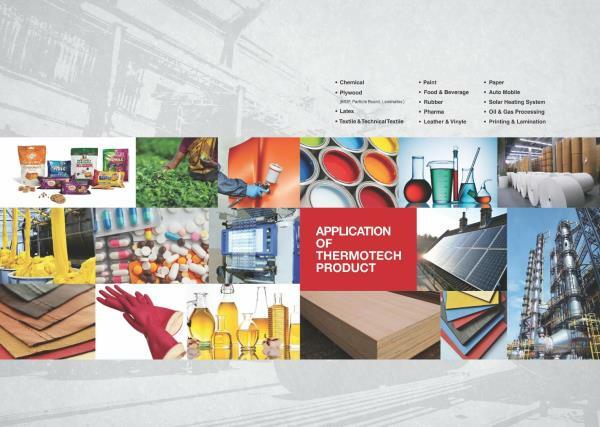 Thermotech is a front runner in manufacturing and export of full range of process heating equipment and turnkey solutions. It enjoys a position of high repute with its technologically advanced Thermic Fluid Heaters, Hot Water Generator, Hot Air Generator, Water Bath Heater and Crude Oil Heater. 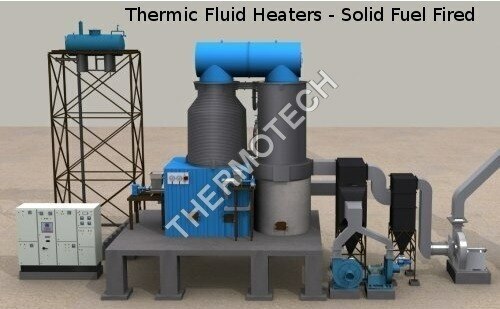 Thermotech's Product find application in variety of industries viz. Chemicals, Textiles, Paints, Oil & Gas, Rubber, Automobiles, Plywood, MDF, Leather, Solar, Latex and continuing. The bath solution is heated by a fire tube style burner submerged at the bottom of the heater vessel. Water-glycol mixtures are very common solutions for most low-temperature heating applications, and can typically be used up to 250F.